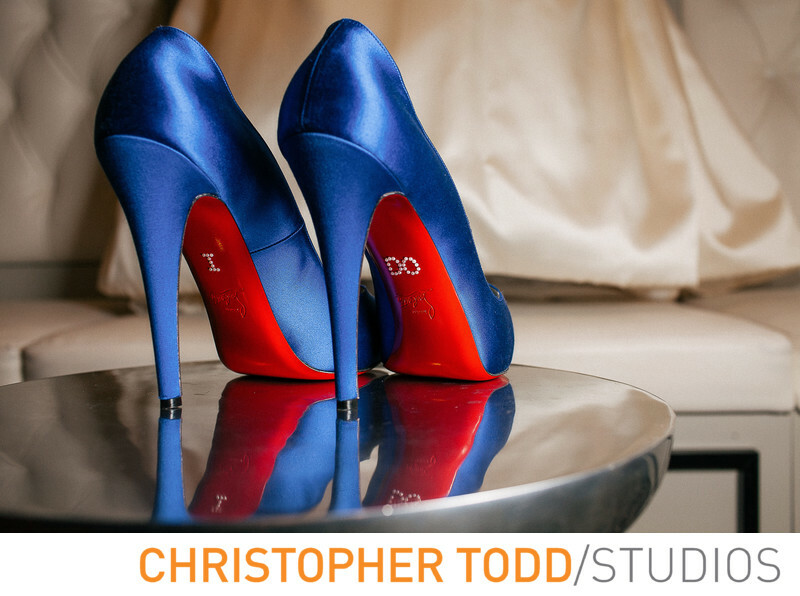 In this photoWe placed the bride shoes on a table.This heels she word down the aisle Where Louboutin heels with red soles. The satin blue heels were stunning. On the bottom of her heels the words I do are written in rhinestones adding a nice touch. Location: 25205 La Paz Rd, Laguna Hills, CA 92653. 1/80; f/5.0; ISO 160; 35.0 mm.